Note 1: The connector unit packaging spacer（SPA）cannot be used for packing with the connector unit stopper bracket. Note 1: The packaging spacer with connector unit stopper bracket（SPB）cannot be used for packaging the connector unit. Note 2: Provide two spacers（SPA and SPB）for each connector unit. 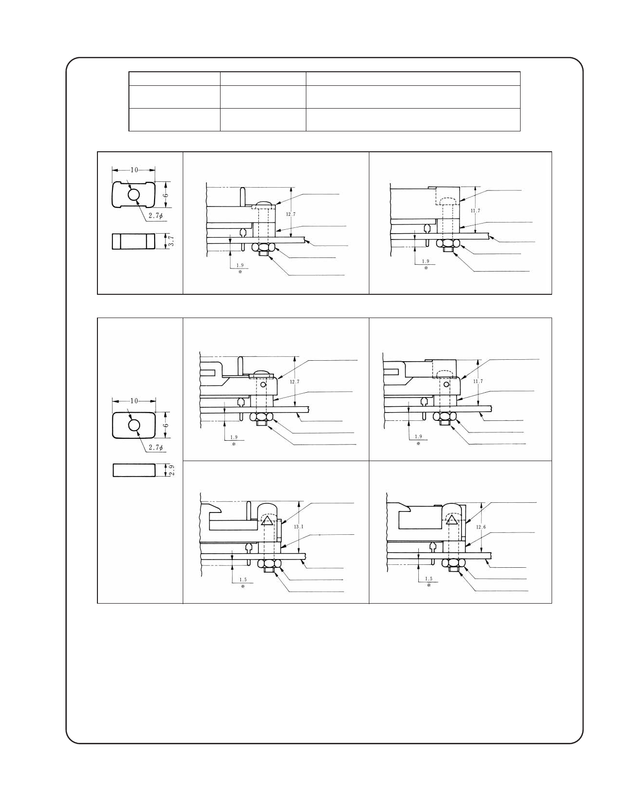 ＊ The dimensions marked with an asterisk（＊）are for PCBs of 1.6mm in thickness. plated pins be used in ordinary conditions.